Raising hopes of early implementation of GST, Empowered Committee Chairman and Jammu and Kashmir Finance Minister Abdul Rahim Rather today said that all states are on board and only some concerns need to be addressed by the Centre. 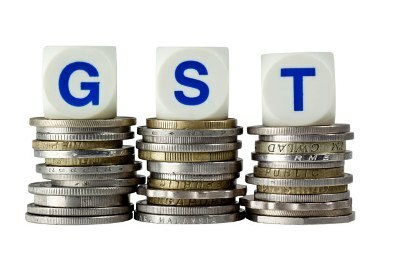 New Delhi: Raising hopes of early implementation of GST, Empowered Committee Chairman and Jammu and Kashmir Finance Minister Abdul Rahim Rather today said that all states are on board and only some concerns need to be addressed by the Centre. "I can't give you exact date but I think it will not take much time. Government of India is very much interested to have this tax reform introduced. Every state is on board," he said, when asked as to when the government will be able to roll out the Goods and Services Tax (GST). "Every state wants GST to be implemented. Only they want their concerns are addressed. That will be done I think," Rather told reporters after four-hour meeting of the State Finance Ministers here. Referring to concerns being flagged by various states, he said that "there are certain areas of disagreement between the state and the centre. Like petroleum products, in the Shillong meeting we had made a consensus that petroleum products should be kept outside GST, it needs to be subsume". Besides, he said, GST compensation is another issues. The revenue loss to states due to implementation of GST should be compensated by the centre. "Government of India has said it will give compensation for three years, but it has not agreed to make compensation to make it a part of the constitution through amendment. But states are insisting that compensation should be a part of the constitution amendment so that states get their compensation," he said. Thirdly, he said entry tax should not be subsumed but government of India as not yet agreed to this a well. Rather also said that states have also demanded that the Centre's tax should go to the divisible tax pool and states should get their share according to the recommendations of the Finance Commission. Observing that there is broad consensus over GST, he said, in some cases centre has to move a step forward to allay fears of states on revenue loss as the prime concern for them in protection of financial resources. Speaking to reporters West Bengal Finance Minister Amit Mitra said: "The simple process is that here are two categories of issues discussed one is unclear issues those need to be clarified. The second is areas where we completely unanimously disagree." For instance, he said, petroleum should not be subsumed in GST. Entry tax should not be subsumed in GST. These require insertion into the bill. "The most important is confidence building in the state to rely on the Centre's words," he said.